Live Well brings health products to the doorsteps of rural Zambians in an innovative partnership between GSK and CARE International. What would the impact be on you and your family if you had to travel for hours on bad roads to get oral rehydration salts for a sick child, or much-needed paracetamol? This is the reality for many rural Zambians. As in many parts of Africa, Zambia’s healthcare system is hugely stretched and relies on a vast network of unpaid community health workers. These volunteers provide valuable health education and advice but there is only so much they can do if medicines or even basic health-improving products such as soap and toothpaste, are not readily available nearby. The Live Well social enterprise, set up in 2015 in partnership between CARE, GSK and Barclays, aims to close this gap between shops and customers and between clinics and patients. It has trained over 400 existing and new community health workers in Zambia to become Live Well Community Health Entrepreneurs, able to provide health advice and sell basic medicines, hygiene and nutrition products at affordable prices, door-to-door in rural communities. They use their earnings to restock through Live Well’s local distribution network and many are now generating over $70 per month in supplementary income. This is a welcome boost as often Live Well’s entrepreneurs are far from farming households, living on infrequent and unreliable earnings. “Live Well brings together fantastic partners who are able to work collectively in bringing vital health products to people who are otherwise unable to access them. Through training volunteers we are allowing them to create a livelihood for themselves, so Live Well brings not only health benefits but a wider social impact as well. I first had the opportunity to see Live Well in action in 2016; you can watch my short film and read my blog from that visit. One of the things that struck me was how people have to make incredibly hard choices about health when they don’t have easy access to products and services. I met a couple, Natalia and Mike, who explained that before Live Well started coming to their village they would have to travel 25km by taxi to buy medicine in the nearest town. A one-way journey would cost them more than a whole day’s income, so they would only do it in an emergency. They told me that Live Well’s prices are as good as in town and they can just ring their Live Well entrepreneur and he will deliver the medicine they need. Imagine the difference this makes to their lives. It’s almost better than Amazon Prime! The Live Well concept is simple but turning it into a reality in rural Zambia involved solving a myriad of challenges including local warehousing and distribution, and training and start-up capital for Community Health Entrepreneurs. Solving these challenges required partnership; no one company or NGO alone could have turned the Live Well idea into a success. Sustainable Development Goal 17 sets out how multi-sector partnerships are essential to accelerate transformation in developing countries. Live Well, awarded the 2018 Bond International Development Award for Corporate Partnerships, is a unique initiative bringing together the right corporate-NGO partners in a powerful way. CARE brings an understanding of working with local communities and community health workers, whereas GSK brings health and supply chain expertise and the ability to engage and negotiate with local distributors. Barclays brings knowledge of enterprise skills training and effective business models for small and medium sized enterprises. This multi-partner combination helped Live Well quickly establish itself as a growing enterprise, reaching 660,000 people since 2015 with over 200,000 products; not only GSK but from a range of manufacturers to ensure products are locally affordable. The goods basket of a Live Well Community Health Entrepreneur targets common local health needs, such as malnutrition, diarrhoea, pain relief and dental disease. As well as basic medicines, hygiene and nutritional products, they may also contain other goods like solar lamps and cooking stoves, further improving the quality of life for rural communities. If a Live Well Entrepreneur come across a household that has health needs beyond their basket or recognises a more serious medical condition through their clinical training, they can refer them to the closest health clinic, assisting the patient in the referral process. The impact of making these basic products accessible can be clearly measured; the sale of water purification, diarrhoea treatment, and contraceptive products, for example, could prevent the loss of over 2,000,000 productive, healthy life years for Zambians by 2021. Live Well aspires to play a significant part in this, aiming to provide 1,150 people with business and health skills training and reach over 1.7m Zambians with services by 2020. The ultimate aim is to develop Live Well into a fully self-sustaining business and significantly reduce dependence on donor funding. The future looks bright but there are still challenges and areas to refine; ensuring the enterprise model allows Live Well Entrepreneurs to earn a decent supplementary income, providing continued development of their health and business skills, and mitigating the adverse impact of the rainy season, which can make roads difficult to use and limit Live Well activity at certain times of the year. As we get to grips with these challenges, Live Well goes from strength to strength as a highly replicable model for solving two problems; firstly ensuring ‘last mile’ distribution of basic medicine and health products in remote, rural areas and secondly; for incentivising community health volunteers; vital foot soldiers of the health system in many parts of Africa and elsewhere in the developing world. 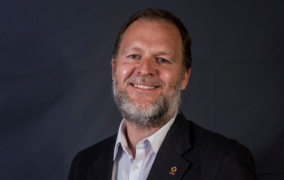 Laurie Lee, CEO, CARE International UK: Laurie joined CARE as Chief Executive in August 2014. He was previously Director, Africa, for the Bill & Melinda Gates Foundation, where he led the Foundation’s team working on policy, advocacy and government relations in Africa. Prior to 2009, Laurie was a civil servant in the UK Government, mainly in the Department for International Development (DFID), in which his last position was Deputy Director and Head of the International Trade Department. From 2004 to 2006 Laurie served as Deputy Director and Foreign Policy Adviser on Africa to Prime Minister Tony Blair. Laurie’s other experience includes working as DFID’s programme manager for Afghanistan and South Africa and serving as a UK negotiator on African issues in the European Union. The global shortage of health workers is already critical and is expected to rise to around 18 million by 2030. This is why GSK and CARE are working together, not just in Zambia but across the developing world, to train and support frontline health workers, strengthen health systems and improve access to healthcare for communities that need it most. 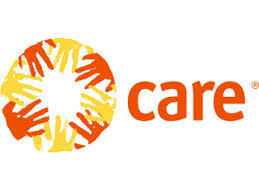 CARE and GSK’s work together is part of GSK’s global Frontline Health Worker Programme, delivered in partnership with CARE, Amref Health Africa and Save the Children. So far, this programme has trained over 67,000 health workers and reached over 24 million people in 43 countries. You can watch a video about GSK’s Frontline Health Worker programme.